Some people who have used these "new" Blue Box ones say that these are improved and even smoother/better. I aim to find out. 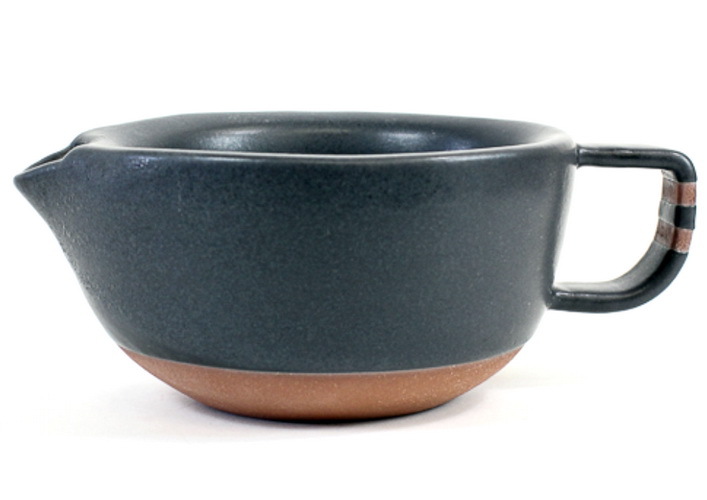 Not that I really needed another scuttle, but this one from Wolf Ceramics is beautiful, and the way its brown and grey colors complement my shaving setups will be pleasing to my eyes of a morning. 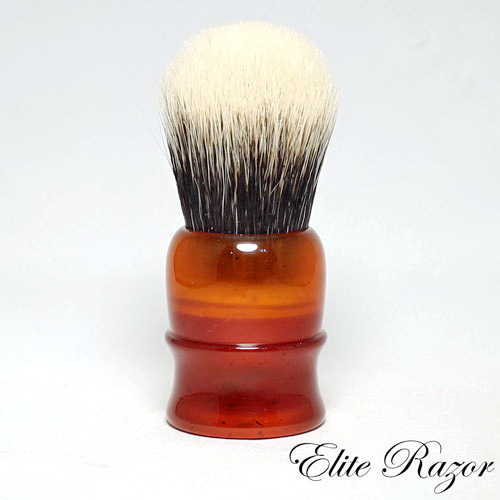 And a custom Chubby 2 with a White Manchurian knot and a handle made from real amber is coming from master craftsman Bob Quinn. Is "Choco Musk" the new way to attract fat chicks? 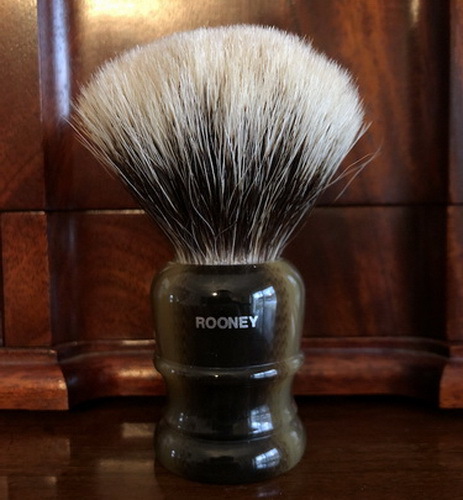 Waiting on this Very Clean Dubl Duck 5/8th Coming from the Good Auld USA... @Karl G Done the Honors for Me as the Seller Didn't Post to the UK...Got it for a Real Good Price..Thanks to Karl's Sniping Tactics..
"No more razors" resolution completely stuffed, as a new Rex Ambassador is en route. Congratulations Billy, you are on a roll mate. Keep up the good work & Enjoy! 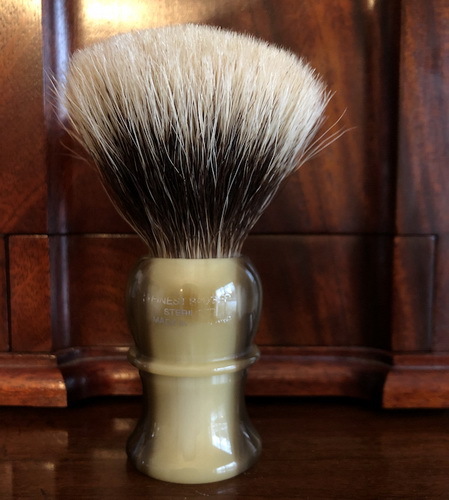 Ordered a Fatip Piccolo SE this morning and an Ikon Bulldog handle. 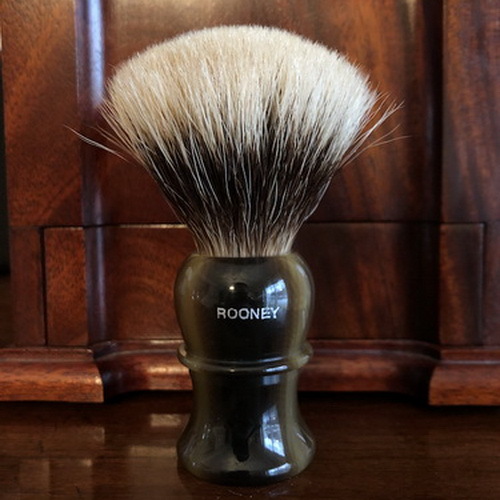 Will see if the Fatip with Gentile plate replaces the 6S as my favourite razor. Need to start selling some off! 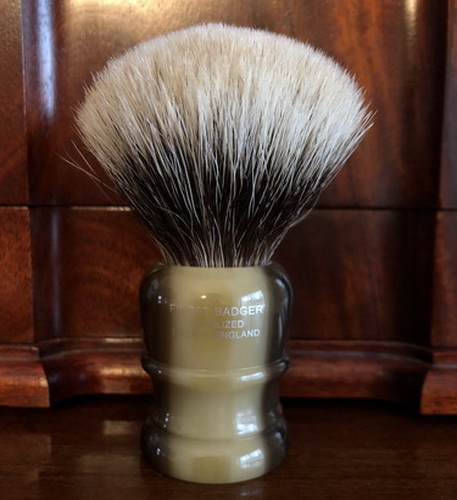 Awaiting Yaqi Timberwolf 24mm & Gillette slim adjustable. Definitely should unsubscribe from newsletters. Pulled trigger for Stirling deep blue sea soap and balm.